In Volume 5: Israel Gets a King [1&2 Samuel], meet the first three kings of Israel – Saul, David and Solomon. Learn about the Davidic Covenant, God’s great promise to David, and about the trinity – how God is the Father, Son and Holy Spirit. Volume 5 contains 4 weeks. 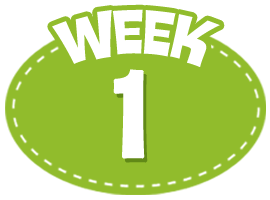 Week 1: The children will review Genesis-Ruth, and hear stories about King Saul from 1 Samuel. 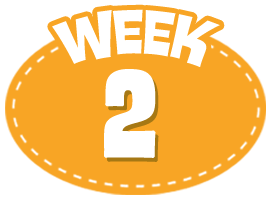 Week 2: The children will learn the Biblical stories of King Saul and King David found in 1 Samuel. 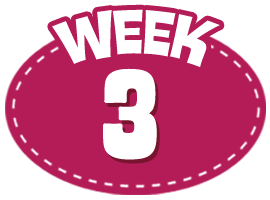 Week 3: The children will learn the Biblical stories of King David found in 2 Samuel and discover the definition of repentance. Week 4: The children will learn about King Solomon, and the definition of sin, repentance, and forgiveness. Video 1 Welcome Custom Welcome Video: Buck Denver digs into his mailbag, and someone wants to know Phil's favorite hobby. Small Group 1 Relationship Building Each child has the chance to share his/her favorite hobby. Video 2 Recap: Genesis through Ruth This video reviews what you have learned about Genesis through Ruth. Small Group 2 Clue Finder Fold clue finders, and then find the answers to questions about the video in the folds. Video 3 Learn: King Saul Learn the story of King Saul, the first king of Israel! Small Group 3 Don't Sink Our Submarine In this fun water game, kids answer questions and add water to homemade submarines. Video 1 Welcome Custom Welcome Video: Buck Denver finds a letter in his mailbag asking Phil if he has any special talents. Small Group 1 Relationship Building Each child has the chance to share his/her own special talents with the small group. Video 2 Review This video reviews the lesson from last week about King Saul. Small Group 2 Get a Better View Make your own paper view-finders and then read the story of King Saul from the Bible. Video 3 Learn: King David Part 1 In this video, learn the amazing story of David and Goliath - and how God picked David to be the next king! Small Group 3 Graffiti Wall As the teacher reads the story of David and Goliath from the Bible, the children draw what they think the scenes looked like. Video 1 Welcome Custom Welcome Video: Phil answers a question from Buck's mailbag about his favorite food. Small Group 1 Relationship Building What's your favorite food? Everyone gets a chance to share. Video 2 Learn: Ish-Bosheth This video tells the story of how David became king - even though one of Saul's sons tried to be king too! Small Group 2 Books of the Bible Review Game Time! This fun game involves popping balloons to find the names of Bible books, and then putting the books in order! Video 3 Learn: King David Part 2 Video! Stories from King David's time as king - sometimes David listened to God, and other times he didn't. Small Group 3 Truth and Consequences Board Game! children answer questions about King David, and move pieces around a game board. Video 1 Welcome Custom Welcome Video: Buck Denver finds a question in his mailbag for Phil about his favorite thing to do with his family. Small Group 1 Relationship Building Each child has the chance to share what he/she enjoys doing with his/her family. Video 2 Review This video reviews the life of King David and the meaning of the word "repent." Small Group 2 Review Repent Slowing Down...Children will look at Psalm 51 and have a time of quiet discussion and reflection, with a guided prayer. Video 3 Learn: King Solomon Meet King Solomon and learn about his time as the wise king of Israel. Small Group 3 Slalom with Solomon Active Game Time - This game encourages kids to answer questions about Solomon for a chance to race plastic miniature cars.